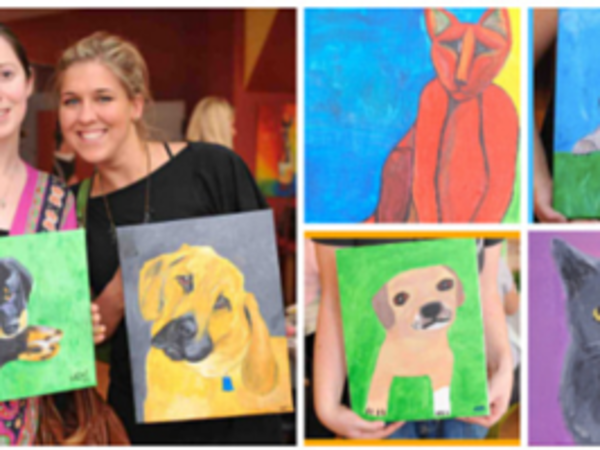 Unleash Your Creativity – Paint Your Pet at Bottle & Bottega! Posted on April 25, 2015 at 9:01:00 am by Jo W.
Here&apos;s an event to get your creative juices flowing! If you like animals, wine, art or hanging out somewhere unique with friends then this could be the evening you&apos;ve been looking for. Head on over to Bottle & Bottega on East Dupont Road on Friday May 1st for an experience like no other. 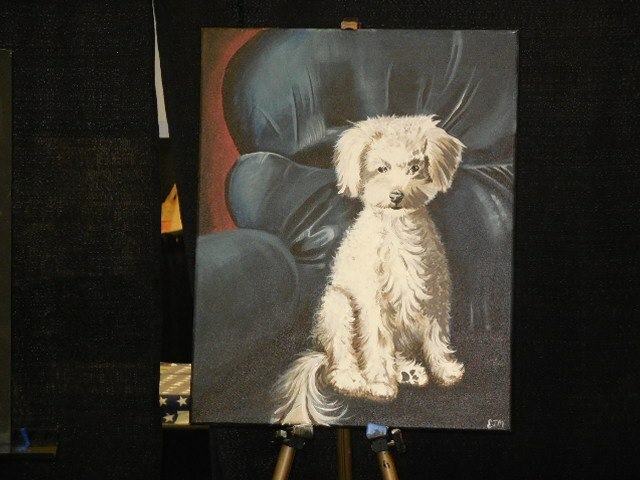 You&apos;ll not only become an artist for the night, but you&apos;ll be supporting the Allen County SPCA and be going home with a portrait of your beloved dog, cat, fish, snake, [your pet here]. Guests arrive at 6pm with half an hour to get settled in, find their seats, explore the cool new studio and, most importantly, grab a glass of wine or craft beer from the awesome selection available. At 6.30pm the painting fun begins! You&apos;ll bring a photo of your pet (on your phone or a printout - no need to bring Fido himself) and Bottle & Bottega&apos;s artists will assist you in creating your masterpiece. Think of them as &apos;art servers&apos; walking between tables and helping out with tips and techniques to really bring out your inner artist – you know she&apos;s in there somewhere! Leave your work stresses at the door, grab a glass of wine and prepare for a fun, relaxing night of creativity... and not having to worry about cleaning up afterwards! Your ticket price will include all paint supplies, instruction, aprons and of course the 16x20 take home canvas. Food choices will be available to order from Bottle & Bottega&apos;s venue partner Bandido&apos;s.
To register for the event head over to Bottle & Bottega&apos;s website: bottleandbottega.com/fortwayne. Sign up soon, last year&apos;s event sold out quickly! 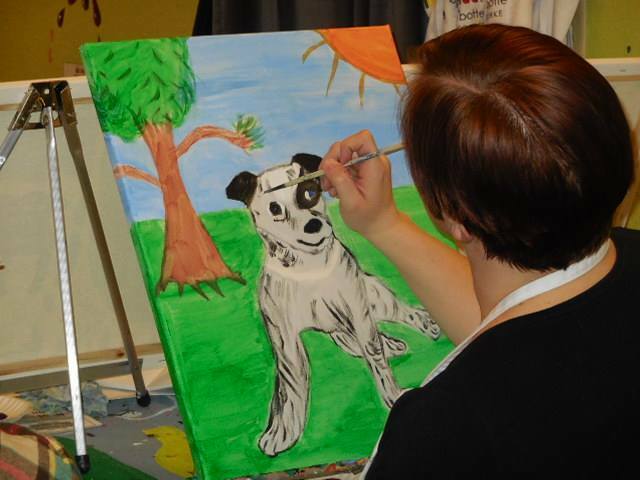 Paint Your Pet is part of Bottle & Bottega&apos;s Creating for a Cause initiative, where proceeds go to help local non profits and give back to the community. 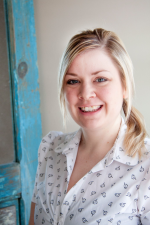 If you are part of a non profit and want to find out more about raising money through art get in touch with them by email fortwayne.events@bottle-bottega.com or call them at 260-494-1020.